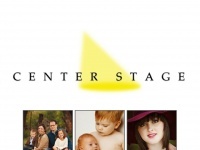 Center Stage Photography of Olathe - a modern portrait studio offering artistic outdoor and studio portraits of families, children, high school seniors as well as maternity portraits. Keywords: Photographer Lori Wood Habiger Is Known for her Modern Studio Portraits Including Dramatic Maternity and Newborn Created in her Johnson County Studio. she also Creates Outdoor On Locations in Kansas City Overland Park Lenexa Shawnee and Lawrence. A profile of Centerstagephotos.net was found on the social network Facebook. The web server with the IP-address 64.37.53.122 used by Centerstagephotos.net is owned by HostDime.com and is located in Orlando, USA. 11 other websites are located on this web server. Most of them are provided in the english language.